This isn’t a review of the Jug…yet. I’ll put up a review after I’ve used it a bit. I’m just really excited to report that I have just acquired one! And by “I”, I mean YuChun, cause we got it for his place. His old Brita filter was so bad, there were ants in it. *shudders* And no matter how many new filters we placed in it, ants still managed to find their ways in and then you end up with a glass of water with a crushed ant in it. Guh-rose. Check it out. We have the black one. Now, I’ve been a big fan of the Water Bobble since I first read about it somewhere on the DISboards. We’re obsessed with trying to find ways to reduce that gross Florida water taste (note: it’s only gross SUBJECTIVELY cause most of us aren’t Florida natives and are simply not used to the taste). Some people have gone as far as having bottled water shipped to their resorts! Now, we all know that’s not very good for the environment because the whole “green” thing is HUGE right now. So, I spotted the Water Bobble being sold in only ONE store in Waterloo and it was PRICEY. I’m all for saving the world, but my wallet isn’t as eager. So I waited and waited….and found it at a MUCH MORE reasonable price at Old Navy while on a trip across the border. It sure is lucky for me to live so close to the border! If you must know, it cost $10. One thing I love about the Water Bobble is how COLOURFUL it is! Look at all those colours that lets you identify your Bobble with other Bobbles! (not that that many people actually have one). I bought a green one, of course, because that’s my favourite colour. Another thing I love about the Water Bobble is that it filters AS you drink. Unlike traditional filters that have the water filtered before you drink. That way, you know that the water you’re drinking is for sure CLEAN and/or hasn’t been sitting in that bottle developing bacteria (cause that’s what still water does, right? ), even if it IS BPA free. The most important thing about the Bobble that I love is the taste. This is debatable, but I love how “clean” and “fresh” it tastes. Much better than bottled water. Evian tastes TOO clean and kind of coppery even. The Bobble water just tastes very….clear. Like…fresh glacier water. And yes, I’ve had glacier water. 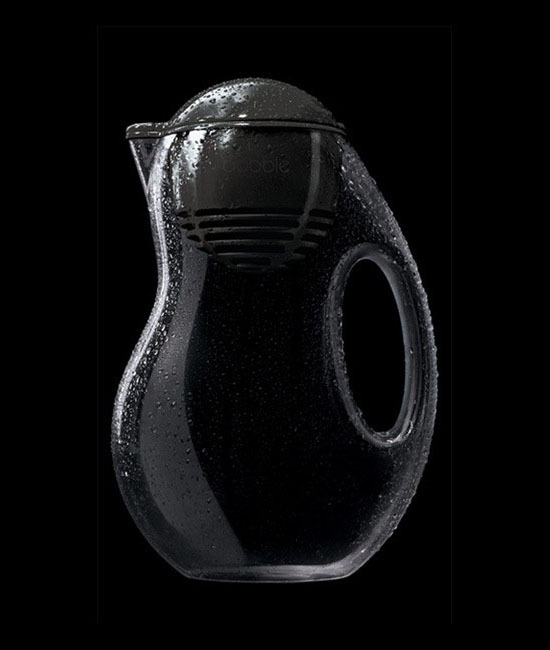 So when I saw that they had come up with a Bobble Jug with a great design, I got right on reading up on the reviews. It was more than satisfactory. I’ve been meaning to get YC a new filter and I’ve found it! I’ll be back soon with a review. It will be biased, because I already love the Water Bobble. But you can also trust that I’m not the kind to tout something as AWESOME if it isn’t or if I have some kind of monetary gain in promoting it. Which I don’t. This entry was posted in Big Spender, Disney and tagged bobble, bobble jug, disney, filter, filter bottle, water, water bobble. Bookmark the permalink.